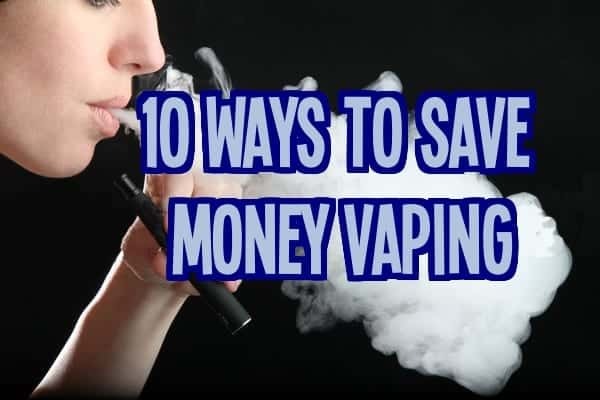 10 Less Known Ways to Save Money and Start Vaping Cheap! Some of us were told when switching from cigarettes to vaping that we would save money. And while that’s definitely possible, for some of us have turned vaping into a recreational hobby, keeping up with the newest devices and even participating in big cloud vape contests. When you go that route, you can definitely overrun your original vaping budget. If your goal is to save money or if you just want to spend less money this list is for you. Personally, as a vaping hobbyist, I accept that I spend more money on vaping than I had originally planned and I’m ok with it. But I still use the tactics on this list to save as much money as possible! Anyone can search this site for a product to see all the past deals listed for that item. Even though many of these deals will be expired you can still compare the prices of past deals to the current price of an item. This is a fast and easy way to see if you’re getting a good price (or not) on any given item. Co-ops are a group of people who make a large wholesale purchase of vape goods directly from the manufacturer in China. This allows people to get vape gear at very low wholesale prices. Usually, these groups are formed on Reddit e-cigarette forum, Facebook, or other e-cig forums. I feel co-ops are designed more for collectors due to the time and trust required. The risk/reward factor is heavily based on how well you know the other members in the co-op, so use your own judgment. If you’re interested in a co-op just ask around anywhere where e-cigarette users gather. Some vendors offer incentive programs to gain new customers. In exchange for referring them a new customer, they give you store credit. This is a great reason for pressuring your tobacco smoking friends into making the switch while putting some green back in your pocket. If you really like a certain company let them know, businesses love testimonials! Write them an amazing testimonial about their product and then, in the same e-mail, politely ask them if they have any coupon codes. They will definitely inform you of any current promotions, they might even give you a personal coupon code on the spot! Just make sure you actually mean what you say in the testimonial, the goal isn’t to lie your way into a discount. Check out our favorite and trusted e-cig suppliers in our Best Online Vape Stores article. Contests and sweepstakes are a perfect way to get free vape gear. Many vendors or websites will hold contests/sweepstakes to give away gift certificates and new products. This includes our site as well because we love to give back to the community through sweepstakes and giveaways held on our site. You can find our latest free sweepstakes here. It’s common for these giveaways to be done through social media, another reason to follow your favorite suppliers or websites. The easiest way to hear about sales is from a vendors e-mail list or social media feed. We also post sales on our site. However, if you have any favorite vendors then make sure to follow them on social media and/or join their e-mail lists. Some vendors even offer instant coupons to new e-list subscribers or for “liking” their fan page. The act of keeping records of your expenses will force you to think about every purchase. This will psychologically cause you to become a more frugal shopper. Take it to the next level by creating a monthly budget. Use the records you kept to decide how much you want to spend on vaping each month. The hardest part is sticking to your new budget. There are a number of websites that track vaping deals including our website. These sites are a great way to hear about the latest deals and new product offers. Stay informed through e-mail lists, RSS feed, and following them on social media. The best deals come and go quickly, so a frugal vapor must stay informed. Rebuilding atomizer coils can save you a little cash, however, they do require a lot of time and energy. If you’re the kind of person who wants to customize your experience then rebuilding atomizer coils is a must. I recently started to rebuild coils and it’s been enjoyable for me to control the performance of my device. However, atomizer coils can cost less than a buck a piece when on sale. For this reason, I don’t recommend rebuilding them strictly for financial gain. The most effective way to spend less on e-liquid is to make it yourself. There’s a high initial cost but in the long-run, you can make DIY e-liquid for pennies per milliliter. That’s pretty cheap considering the average price of e-liquid is .30 – .50 cents per ml. To learn more check out the How to Make DIY E-Liquid Guide. I can understand if you don’t want to venture into DIY e-liquid, it can easily over complicate something you want to enjoy. If you don’t want to make your own e-liquid, save money by buying in bulk. 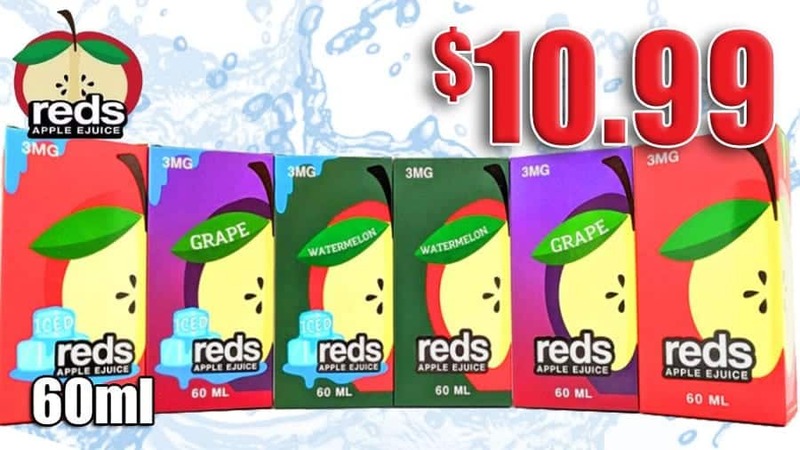 Many vendors offer lower prices when customers purchase larger quantities of e-liquid. Check out our What is Vaping guide for more information. I hope you enjoyed this list of ways to save money vaping. How do you guys save money on vaping supplies? Please comment below so we all can see. A similar version of this list was written by Vaping Cheap to be published in Vape News Magazine. Your talking about “liking” articles to get sweepstakes entries right? I know some people have had problems getting credit for liking certain pages. I contacted Gleam support but they can’t do anything because of the way the system tracks the “likes”. Sorry. Articles in the VapingCheap page on FB I can Like or UNlike with success. Is it still not letting you do it on any giveaway or just one? have you tried using a different device so we can rule out that being the problem. Gleam said there was problems liking URL’S but you should be able to unlike and like my Facebook page. Maybe you should e-mail me again and i can forward it to gleam so they know exactly what the problem is. These PEEPS ARE GREAT! lots of good info -even looks like they havent an axe to grind! cause its NOT all about them, as others all do.! I love your articles and your site. I am fairly new to vaping, smoked for 48 yrs. not any more, I appreciate all the info. How about showing me how to rebuild pro tank and other coils,as I am on a very limited income, I also make my own e-liquid. Thanks Jim, I’m always trying to ad useful new content to the website. Since I don’t have time to make as much as I would like to have on the site i’m actually looking for other’s to write great articles for Vaping Cheap. I just cant stop looking at this site, amazing deals and pretty much everything i look for is here. My list is long and soon i will have it all. Thanx Nathan you rock! Thank you sir, glad your enjoying the site. This is a great site for finding deals on vaping. I like bottom feeder mods but a lot of them are really expensive. Through this site I found an inexpensive one at angelcigs. I’ve also got a lot of good RDAs ($5-$10) from places like vaporbeast and 101vapes. DIY is definitely the way to save money, but to do this an investment for good equipment will save you money in the long run. I like NETs (naturally extracted tobacco) but they can get rather pricey, I learned how to extract myself and the out come is fairly good, but eventually I will need to invest in better filtration equipment for a quality vape. But in the long run it will save money and I will have a high quality NET.